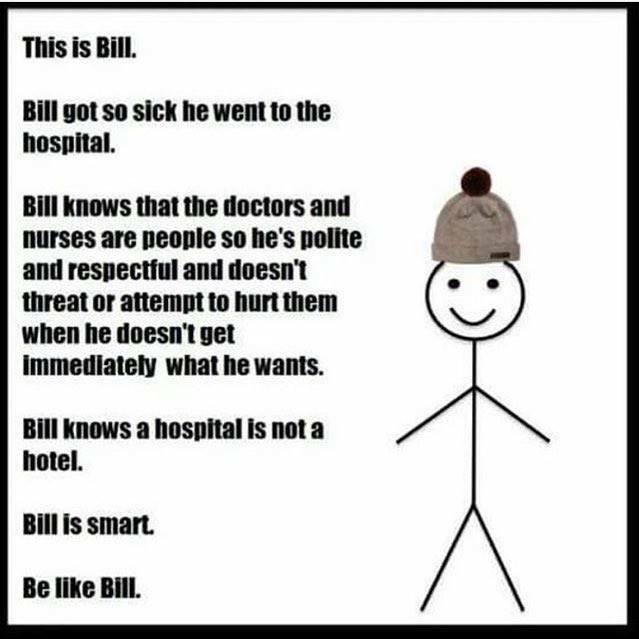 Bill needs to me smarter, because Bill should have that same attitude when he is in a hotel... like Jill. When Jill goes to a hotel, Jill knows that the employees there are people too. She's polite and respectful to everyone she meets. She speaks nicely to them even if she does not always get what she wants. Jill knows how to treat everyone with respect. Yes, Bill is smart... but Jill is smarter. Be like Jill. By the way, Jill is a nurse. This was after Jack broke his crown and she had to... nurse... him.